This is a marvelous series - one which I've purchased to continue as I did not want to wait on my monthly membership credit. 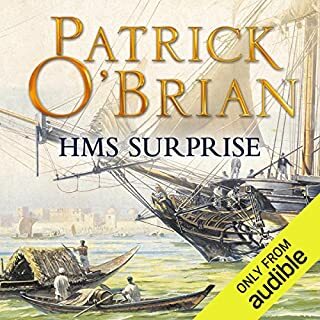 The characters are engaging and I personally thoroughly enjoy the period language and historical naval theme. 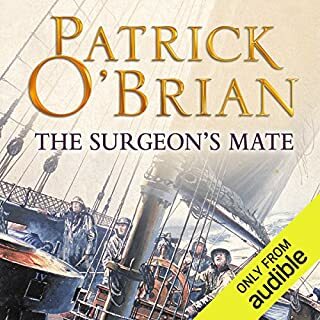 One thing that is a bit confusing is that there are two versions of most if not all the audio books - one narrated by Patrick Tull and one by Simon Vance. 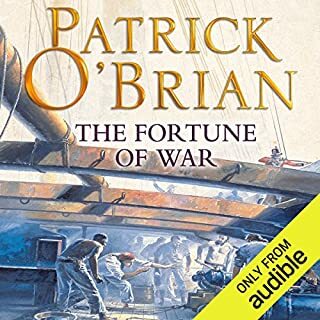 The first in this series I listened to was narrated by Patrick Tull and then I inadvertently purchased the second book narrated by Simon Vance. 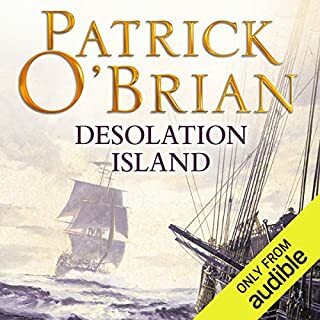 Although I have listened to several other books narrated by Simon Vance who always gives a laudable performance, in my view Patrick Tull is the ideal narrator for this series. His portrayal of the various period accents is pitch perfect to my ear and perfectly fits the spirit of these books. From the other reviews not everyone seems to share this opinion. As most if not all the series is available from both narrators, I suggest listening to the sample of each and deciding which you prefer. I have listened to several of this series previously (mostly on cassette from the Public Library--some with parts damaged, etc.). This recording is pretty good, technically, but I can hear a faint echo in the background on my player, leading me to believe it was transcribed from tape. The reader is not the same guy as in later books (Richard Brown later, Patrick Tull on this one). Mr. Tull has a much more raspy, colorful voice, and gives particular accent to the "Irish" characters--no so in the Brown-read books. Tull is quite good. I can't say enough about this series. 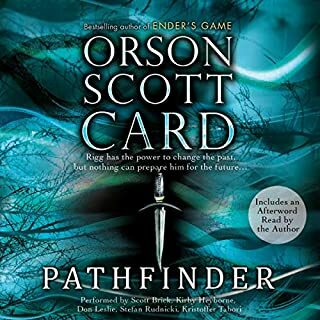 I love it, and look forward to all 20 books being available on Audible. It was great to finally "read" the first book after knowing how the realtionship developes later on. As a former US Navy guy, it is also scary to see just how much from this era is EXACTLY the same today. 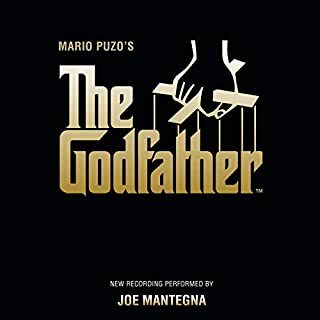 If you saw the movie, it is not the same (entirely) as this book, as that plot draws from several books in this series. 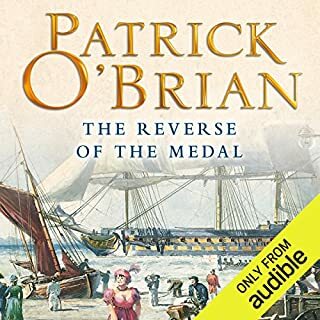 It is almost as though Patrick O'Brian really lived in 1800 (OK, he only missed it by 100 years! ), because every aspect of his story is so totally authentic. He takes no liberty in modernizing anything at all. Obviously, the nautical aspect is exact, but so are the tiny details of everything else. His main characters are very likable, yet he leaves them with very human faults which remain fairly consistent throughout the series. The website for the movie by this name (the one with Russell Crowe) explains some of the nautical details that are rattled off matter-of-factly all through the book and might be worth looking at to avoid some initial confusion. I did note that this first book did take some time to explain some of this by the device of explaining it to Stephen by a young midshipman. It can be a little confusing in fast action sequences without some idea what the characters are shouting about. An excellent book and well read. I am hooked on this series, obviously. This series is over 20 volumes long. To hear others say "I gave up after two hours" makes me want to laugh. Did you not realize there are 20+ books in this series, with antiquated language, sailing ship descriptions and military terms. I've "read" over 300 books on Audible and these books are my favorites. 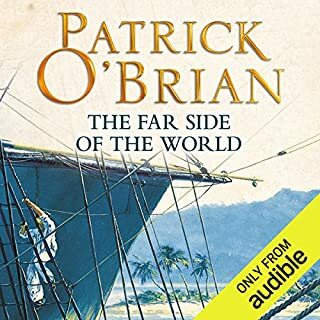 I've read the entire series, re-read several, and read again the really choice ones (Master and Commander, Post Captain, Far Side of the World, etc). 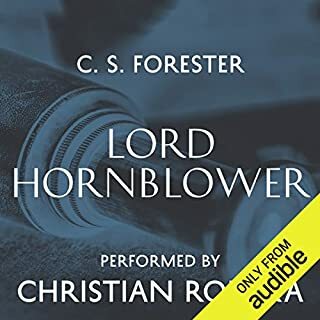 I enjoyed -- but not loved -- the abridged versions from Audible but felt that unlike other fairly long books, those in this series didn't suffer from poor editing, etc., and abidgement left off choice passages and subtle details. I want to praise Patrick Tull, however-- his phrasing, timing, delivery are perfect. He knows when to pause, when to hurry over a sentence, when to express disgust, happiness, etc. O'Brian fans will know the subtlety of Tull's reading and love it, and newcomers to the series will have their best possible introduction. This is a great place to start! 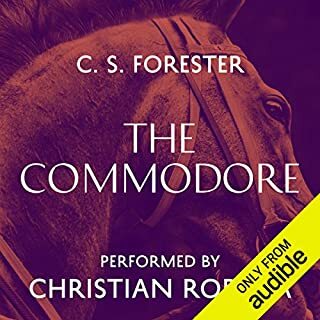 I heard this book on tape and am thrilled that it is now available from Audible. O'Brian's characters are truly that, fully rounded human beings, whose faults are viewed as candidly as their virtues. The adventures are based on actual events during the Napoleonic Wars, and the author brings them to life with his portrayal of the telling details and the sweeping political events. The narrator's gritty voice, rather like that of an old salt, adds to the tale well told. 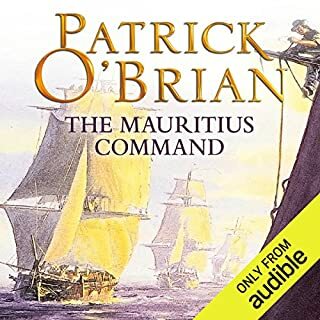 Some will find the Aubrey/Maturin series a great literary treasure. Others will not. Over the years I have read the series and listened to both abridged and unabridged versions read by various readers. Each reader has given Jack and Steven somewhat different characters. Tull's renditions are among my favorites and he is to be complemented. Listening to the clean Audible versions is a treat after struggling thru cassettes of varying quality. 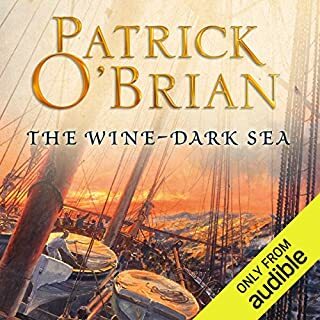 When compared to the Aubrey/Maturin series, most other historical fiction is reduced to the category of "pulp fiction." Both male and female characters (the women arrive in later volumes) are invariably complex and complete, their relationships marked by contrasts in ability, perspective and disposition. The plots are also an exercise in contrasts between civility and barbarism, good and evil, boredom and excitement. 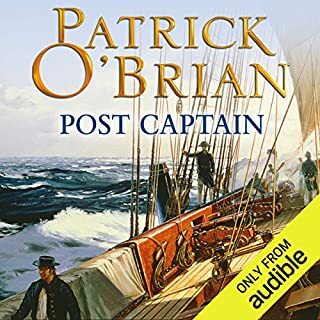 O'Brian captures the age of sail. The rhythm of the story telling is that of sailing itself: long periods of inactivity where shipmates and dinner are the primary focus punctuated with periods of exhilaration where thought and action mean the difference between life and death. If this appeals, begin at the beginning. 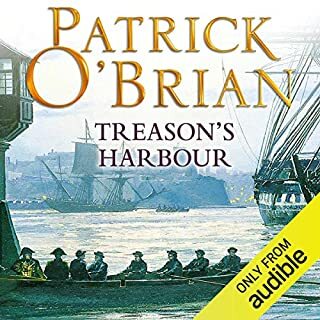 My review is to commend Patrick Tull as the narrator of choice in the Aubrey series. I listened to Tull on book #1 and Vance on book #2. I have returned to Tull for the remainder in the series. 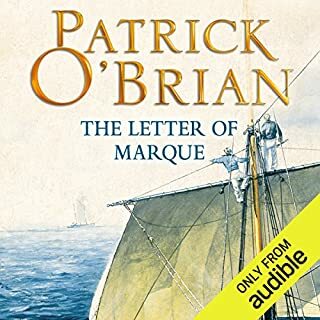 While Vance is excellent with the various accents (French, Italian, Spanish, etc) I find his Maturin lacking any touch of the Irish and his Aubrey forced in its tone. In contrast, Tull gives his two main characters all the character they deserve. The key to Tull's reading is that while Vance narrates Tull tells the tale. It's as if he is sitting in the room with you and telling you a story. And if you don't mind him taking more time in telling the story--he is in no rush--it's worth every minute you listen. 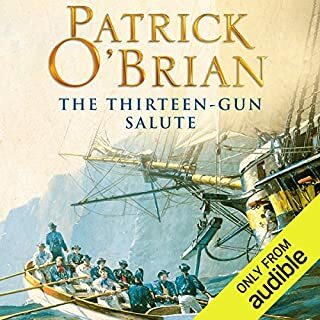 A fun book, telling the story of a Royal Navy Officer, Lieutenant/Captain Jack Aubrey and his friend Dr. Stephen Maturin. 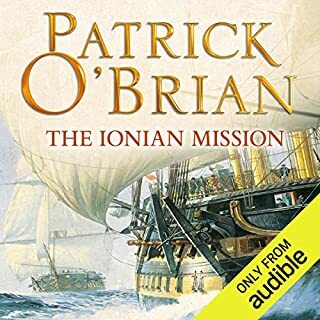 It gives an interesting (and, as far as O'Brian could manage it) authentic view of life in the Royal Navy during the Napoleonic era. One word of caution: this is a naval book steeped in the lingo of the age of sail with no attempt at translation. If you want to know what a mizzen topmast is, or how many bells there are in the dog watch, you'll have to look it up. I made several visits to Wikipedia while listening to this one. Tull's gravelly voice, lively story-telling and (South England?) accent make him a very good story-teller...but if Americans who weren't brought up on a steady diet of Monty Python and the like might find it a little hard to follow. Vance's story-telling is perhaps a little less lively and exciting, but his accent is a bit friendlier to American ears. Personally, I prefer Tull's version. 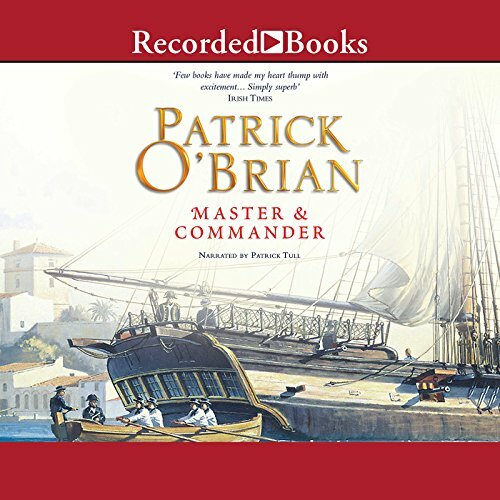 For those whose only exposure to the Aubry/Maturin series has been the Master and Commander movie, you are in for a joyful surprize! The books, of which this is the first, are incredible on a number of levels, not the least of which is the consistant quality of the writing. 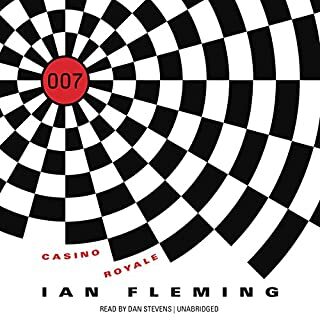 The books are roaring adventures, spy novels, highly educational, and often absolutely hilarious. As good as the printed books are, I must say that Patrick Tull's readings have added to the series. His facility with the many dialects and accents is nothing short of amazing. At the same time, these shifts are so natural and subtle that they don't "pull the reader from the page" but more fully engage one in the story. This is the classic reading by Patrick Tull. Fantastic. A wonderful performance which i've enjoyed listening to several times.